PocketBook is proud to announce its winning at DISTREE EMEA 2017 Diamond Award the second year in a row. More than 300 distributors from across EMEA assessed the companies that attended DISTREE EMEA 2017. The online voting by distributors and channel partners took place from March 2nd to March 7th 2017, right after DISTREE EMEA 2017 event. 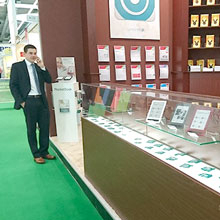 Winners were chosen in 18 product categories. The honorary jury considered a range of factors such as product portfolio, product roadmap, channel program, business potential, go-to-market strategy and the quality of meetings and interaction at DISTREE EMEA 2017. 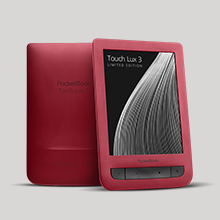 PocketBook became a winner in “PCs, Tablets & E-Readers” product category. 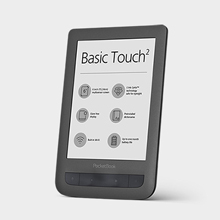 “From year to year PocketBook represents 3-4 new high-end products to the market. We always go on with new developments and constantly expanding the geography of our business, keeping EMEA regions in main focus. The opinion of channel partners and distributors in EMEA is extremely important to us, and we are honored to receive such a high evaluation of our work second year in a row”, - commented Enrico Mueller, CEO of PocketBook Readers GmbH. It is pertinent to recall, that in 2016 PocketBook had been chosen as a winner of DISTREE Diamonds Award in “HOME ENTERTAINMENT & APPLIANCES” category.